From Wadi Rum village you and your guide will go by camel to Lawrence's spring with short stop. Then you will go to sand dunes, where you can have a walk on soft sands. there your guide will prepare the lunch and Bedouin tea. Here you will have a rest and relaxing for 1 hour. After that you will go to Khazali canyon,, where you can walk through the canyon. Then you will continue to sunset area where a jeep will be sent to meet you brings your luggage and the dinner. your guide will prepare the diner. After the dinner you can enjoy walking and watching stars before your sleep. 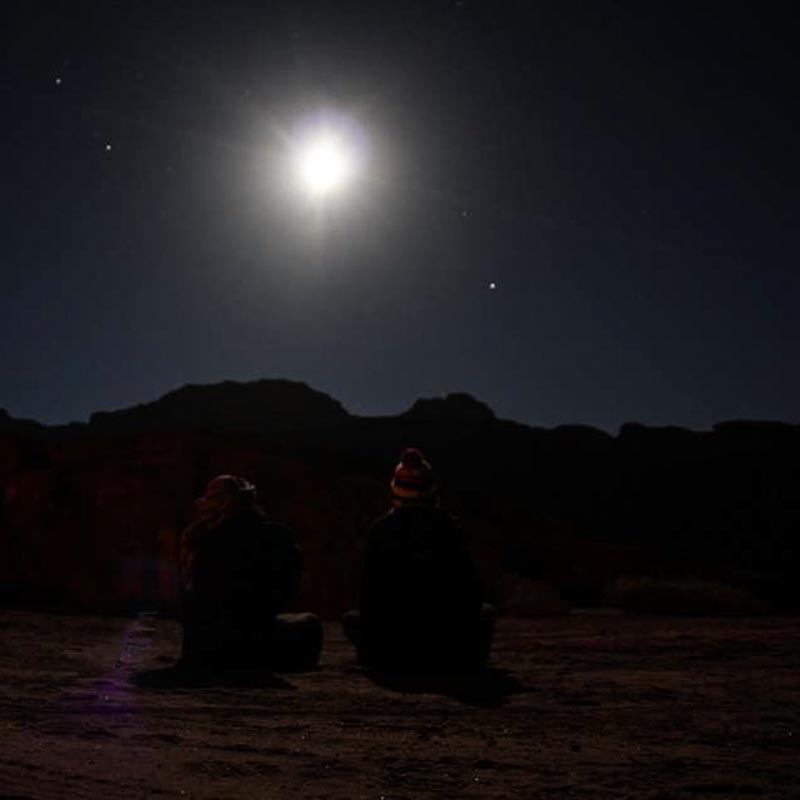 The price includes: A Bedouin guide who speaks English, one night under stars( blanket + mattress + pillow) ,Dinner and breakfast with the tea and the drive back from the camp,Jeep for your luggage and a bedouin cook.